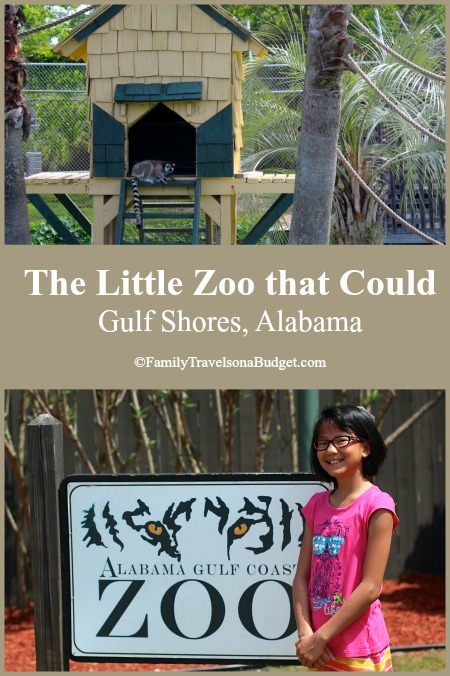 On our spring break vacation to Alabama’s Gulf Shore, we spent a morning at the Alabama Gulf Coast Zoo, affectionately called the Little Zoo that Could (more on that later). We enjoyed a complimentary visit for purposes of this review, though all opinions are mine. 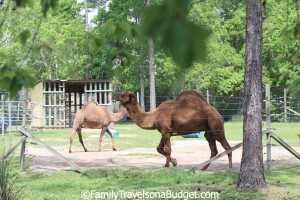 The Alabama Gulf Coast Zoo opened in June 1989 as a private endeavor on 17 acres. Not a large zoo, for sure, the acreage is incredibly well-used. Wide pathways through the park make for a relaxing guest experience. 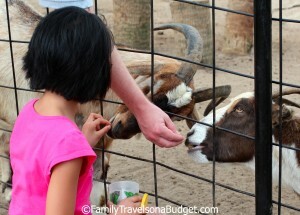 Thoughtfully laid-out exhibits offer up close views of more than 500 exotic animals including lions, tigers, bears, primates, farm animals, birds and more. A covered pavilion offers shade and benches to learn more about the zoo’s many residents. Other encounters provide zoo guests the opportunity to interact with kangaroos, lemurs and reptiles. An extra fee is required, but in our opinion it’s well worth it! 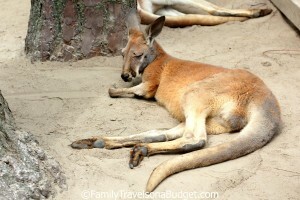 • The Kangaroo Encounter allows guests to enter the kangaroo enclosure, pet the kangaroos and pose for photos. The fee is $5/person (in addition to regular zoo admission). 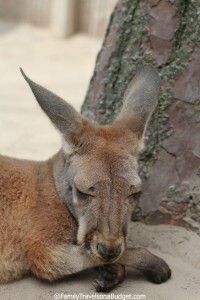 Before entering the enclosure, guests must clean their shoes and hands to keep the kangaroos safe. Our whole family LOVED this experience! LOVED IT! 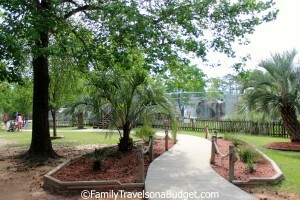 • The Lemur Playhouse lets guests interact with the zoo’s lemurs in a shaded, screened enclosure. The fee is $10/person (in addition to regular zoo admission). The enclosure is closed at lunchtime so the lemurs can take their midday nap. We missed out since we got to this exhibit at lunchtime. If playing with lemurs sounds fun to you — and why wouldn’t it — plan your zoo visit around it. Besides these special encounters, the zoo has a large, shaded picnic area, gift shop and seasonal concessions add to the guest experience. The zoo is open year-round. Did you think I’d forgotten? 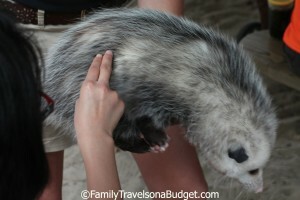 The Alabama Gulf Coast Zoo is also known as the Little Zoo that Could. When we visited, a large number of zoo volunteers were working tirelessly to clean habitats, feed the residents and maintain the grounds. 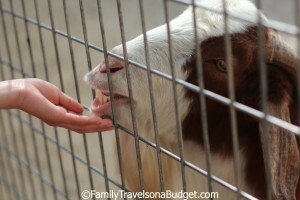 I’ve been to many zoos across the country, and the care provided here rivals the world’s best. If a zoo was measured by heart rather than acres or number of animals, “the little zoo that could” would be among the largest in the world! 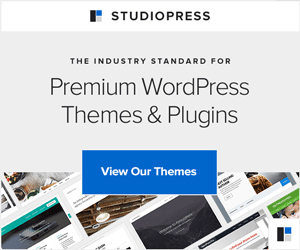 Wagons: Rent a wagon for $4! Wheelchairs available for free as needed. When to go: Beat the Alabama heat (and the crowds) and arrive early! We got there around 10 a.m. and enjoyed a less crowded first hour. By 11:30, the zoo was fairly crowded, though with wide walkways it wasn’t hard to navigate. 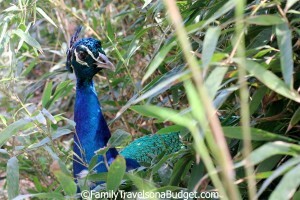 The animals are also more active early morning, so the earlier your visit, the more you really get to see!